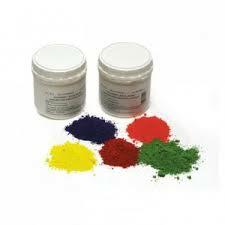 We are a reputed Manufacturer; Exporter & Supplier of Food Colours & Lake Colours in India. Our Food Colours & Lake Colours have high utilitarian value & are vastly used as dyes in food, pharmaceutical, cosmetic & various other industries. Processed using international food standards, our Food Colours & Lake Colours are supplied to the major markets of USA, South America, Europe, Africa, South East Asia and Middle East Countries.